Hakusan, Japan, June 15, 2016 – EIZO Corporation (TSE: 6737) today announced the addition of 8 Ambassadors to its ColorEdge Ambassador Program, bringing the program’s membership to a total of 24 creatives from 15 countries since its launch in November 2015. 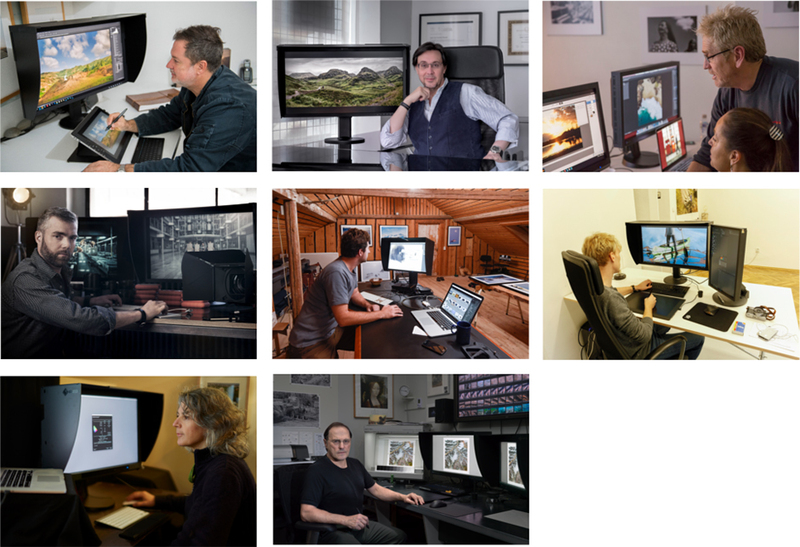 The newest additions to EIZO’s ColorEdge Ambassador Program are eight internationally-known creatives: wedding photographers Marcus Bell (Australia) and José Luis Guardia Peinado (Spain), fine art photographers Tony Hewitt (Australia) and Jackie Ranken (New Zealand), advertising photographer Jonathan Heyer (Switzerland), wildlife photographer Morten Hilmer (Denmark), photographer and retoucher Erik Johansson (Sweden), and contemporary artist and master printer Les Walkling (Australia). Each Ambassador has an individual profile on EIZO’s dedicated ColorEdge Ambassador Program webpage which includes the Ambassador’s bio, gallery of works, and experiences with their ColorEdge monitors. (left to right, top to bottom) Ambassadors Marcus Bell, José Luis Guardia Peinado, Tony Hewitt, Jonathan Heyer, Morten Hilmer, Erik Johansson, Jackie Ranken, and LesWalkling.